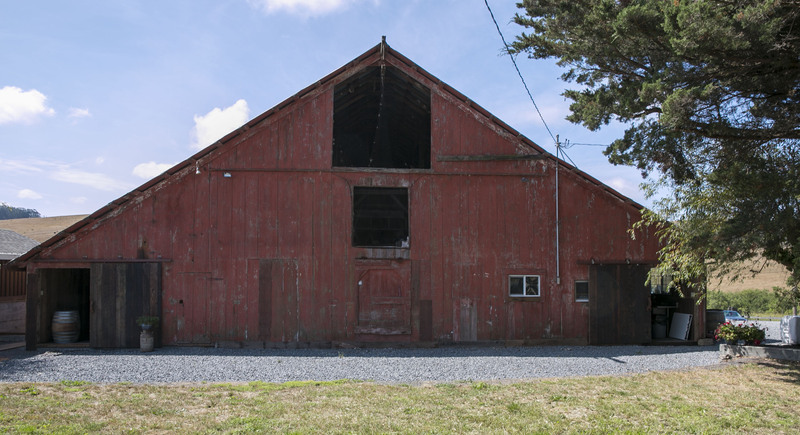 With roots dating back 100 years ago, the Poncia family ranch is located in rural west Marin County. Up until the 1980’s, the family was in the dairy industry. Loren Poncia was working in Sacramento in agriculture and would look forward to coming back home over weekends to help his parents. 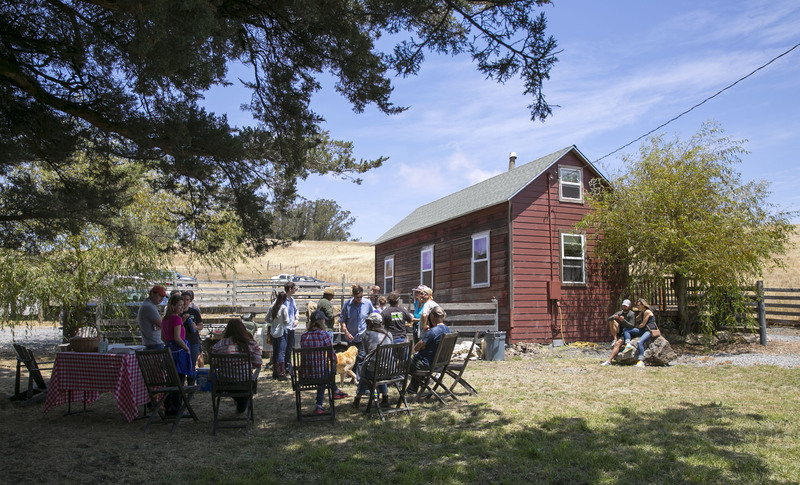 Sustainable practices began with Loren’s father as a founding board member of the Marin Agricultural Land Trust (M.A.L.T. ), where 47,000 acres are protected. At 30 years old, Loren read “Omnivore’s Dilemma,” which inspired him and his wife, Lisa, to return to his roots and take over the family business. 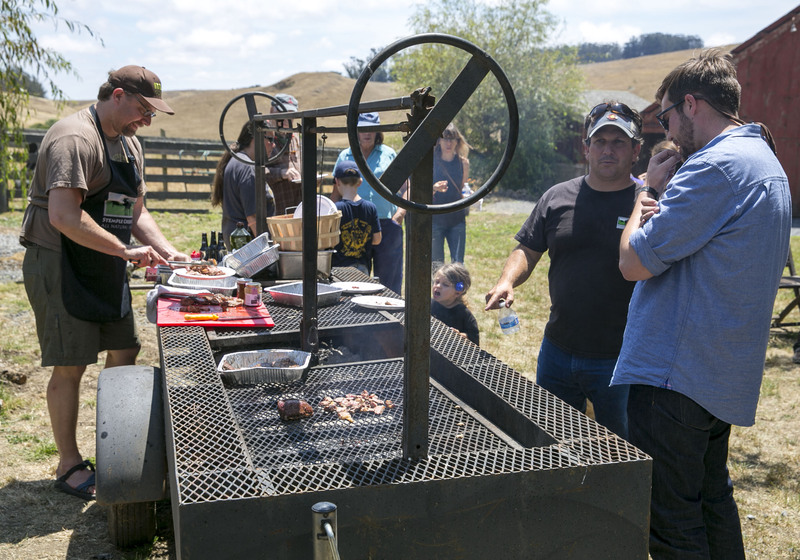 They charted a new course for the farm by transitioning from a dairy to a sustainable, free-range beef and lamb ranch. First, Loren carefully chooses the genetics of the cattle he raises. As the cows mature, they are able to freely roam on the Poncias’ land. After 26 months, they are finished on the highest quality and tastiest grass. 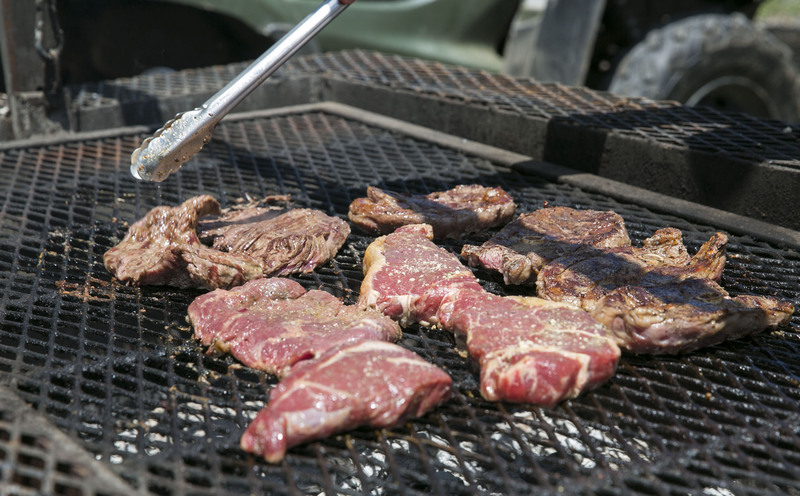 As a result, the beef has a desirable marbling effect, which sets it apart from corn-fed beef. In the last decade, the Poncias’ renamed their farm, Stemple Creek Ranch because it has become a hub for many ecosystems including a 1,000 planted trees and 28 migratory birds. Stemple Creek is currently partnering with the Marin Carbon Project on a decade-long study of carbon farming. In the study, they are monitoring how much organic matter is in the soil with the purpose of ensuring a better environment for their livestock and all species that co-exist there. Recently, they have begun diversifying by adding pigs. For the humankind, they have rebuilt the old bunkhouse into a quaint Airbnb space, plus they renovated a dilapidated barn for special events and farm to table dinners. They sell their meat at the Farmer’s Market at the Ferry Building on Saturdays, and the Marin County Farmer’s Market in San Rafael on Sundays. Their meat can also be found at a handful of restaurants and butchers. Their online store is growing in popularity since it provides a great opportunity to purchase parts of the cow, lamb, or choice pieces. 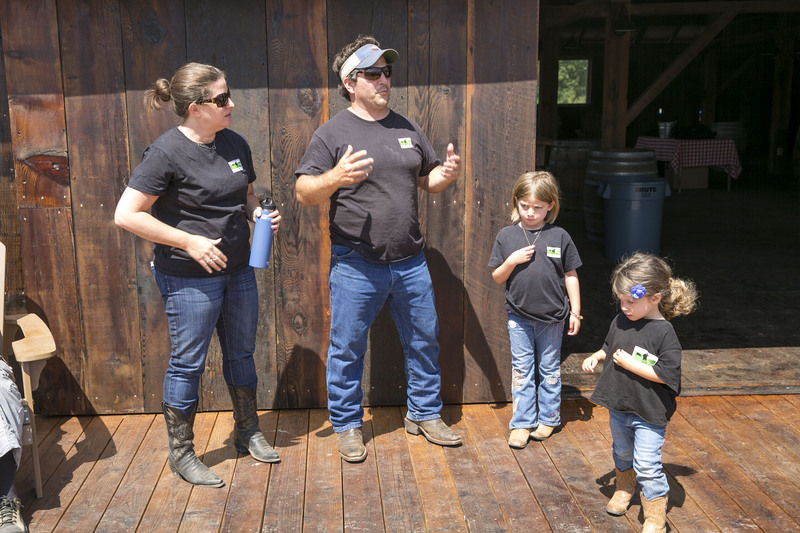 Loren, Lisa and their 2 daughters open their ranch for free public tours (reservations required) and enthusiastically share their story and unique, eco-conscious approach to feeding their cows on grass from start to finish. As the tour winds down, guests are treated to barbecued meat of epic proportions. Bring a cooler so you purchase for your own meat up! Written by Ariel & Debbie Sultan.